August 4th is the day to celebrate that least-appreciated branch of the United States Armed Service. Originally the Revenue Marines, the Guard was established by Alexander Hamilton (you can’t escape himopens a new window!) in 1790. The then-called Revenue Cutter Service merged with the Life-Saving Service in 1915 to become the United States Coast Guard. And they’ve been...well, guarding the Coast...ever since. True or False: The Coast Guard is a part of the Armed Services, but not of the US Military. True! The Coast Guard is currently a branch of the Department of Homeland Security, and has previously fallen under the Department of the Treasury and the Department of Transportation. The other four branches are under the Department of Defense. See a timeline of the Coast Guard from its establishment to its switch to Homeland Security in 2003opens a new window. The Coast Guard has a range of duties and commands in both oceans bordering the US, the Caribbean, the Bering Sea, and the Gulf of Mexico. 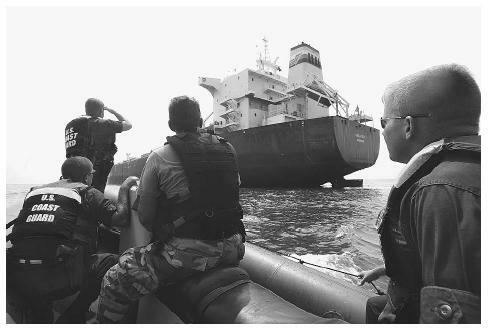 Not only do they ensure all vessels are entering the US legally, and all materials with them, but they are the first responders to any marine incident in US occupied waters, especially if there is a potential safety issue. The Coast Guard is also the Armed Services branch with the most inclusive historyopens a new window. Women were employed—as women, not disguised—as early as the 1830s to man (woman?) lighthouses, and were a big part of the Coast Guard Reserves during World War II. They also integrated long before Eisenhower integrated the military branches. Still more? See the official siteopens a new window.